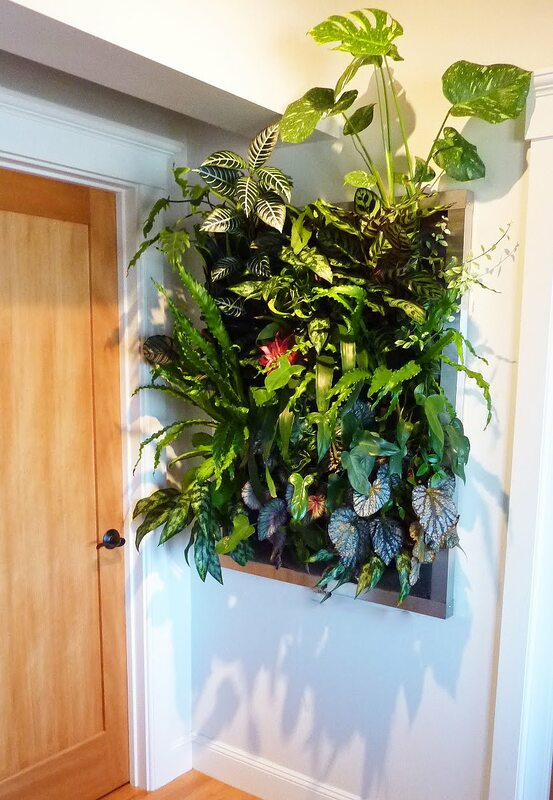 This Full-24 Pocket Floraframe has been thriving and evolving over the last 5 months. It’s only light source is a 50-watt halogen flood bulb about 3 feet from the panel that is on a timer on daily for 8 hours. It’s water is sourced and drained into a toilet’s fresh water holding tank (in the room just behind the panel). A small fountain pump connected to a plug in timer waters the panel twice a week for 15 minutes. All of the plants are using root wrappers and the plants are fed with MaxSea fertilizer once a month, manually added by watering can. You can definitely notice when food is added how the plants burst out with new growth. 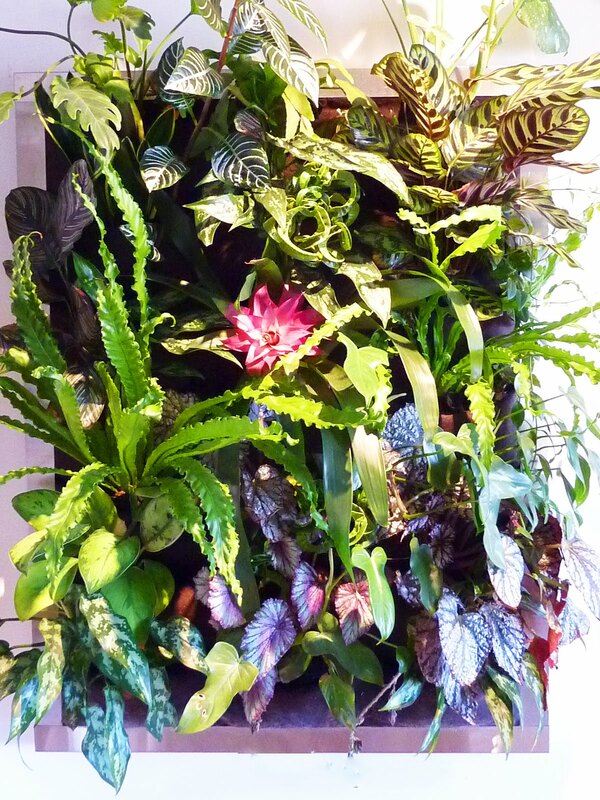 It has been a delight to watch the panel grow and add and occasionally change plants around.